If you’ve been promoted or if you’ve moved to a new company, let us know and we will announce your news here – just email priyas@humanresourcesonline.net. 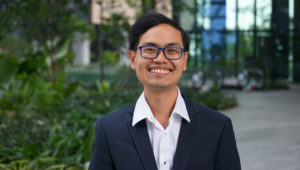 Digital telecom operator Circles.Life has appointed Alex Png (pictured below) as Head of Employer Branding, Campus and Diversity Hiring, where he takes care of the twin R&D Centres in Singapore and Bengaluru, as well as the global operations in Australia, Taiwan, Indonesia and the Philippines. In this role, he shapes the employer branding strategies, defines campus engagement and outreach plans, and crafts a series of all-inclusive diversity programmes to enrich the talent pools. At the same time, he works on culture-building initiatives, as well as partners the business closely in framing and executing communications plans to engage Circles.Lifers (the employees). Given the company is actively expanding, his role will will grow in tandem with the scale of operations. Based out of the global HQ in Singapore, Png reports to the Head of People & Culture. He was previously People Culture & Employer Branding, Senior Manager, Grab. Raffiq is based in Malaysia, and his career with L’Oreal spans roles including Recruitment & Integration Manager, Talent Acquisition Manager & HR Business Partner, and more. Just before his latest role, Raffiq took up a short stint in Hong Kong as Asia Pacific Project Manager for L’Oréal’s management trainee programme, and as Marketing HR Business Partner for the Asia Pacific zone & DMI Consumer Products Division. Kenneth Chong has joined peer-to-peer lending platform Funding Societies as Regional Head, Talent Management effective 28 February 2019. He brings with him over four years of experience as Regional Talent & Recruiting Manager at Amcor. In an exclusive to Human Resources, Chong said his current responsibilities include: Overseeing the regional talent acquisition, talent management, and compensation and benefits functions of the organisation; Identifying the organisation’s needs and working to create and implement an efficient talent acquisition strategy to improve recruitment and business performance; Shaping and implementing strategies that will help Funding Societies attract, motivate, develop and retain high-performing employees; and Using compensation to attract, measure, develop and manage the organisation’s talent pool. 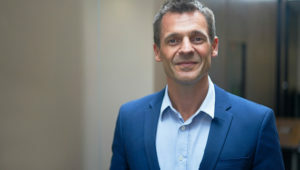 Toby Fowlston (pictured below) has taken over as Chief Executive Officer for Asia Pacific, bringing overall responsibility for recruitment firm Robert Walters’ operations across 13 countries and regions, under his remit. He was previously Managing Director of Robert Walters Southeast Asia. His remit covers Australia, China, Hong Kong, Indonesia, Japan, Korea, Malaysia, New Zealand, Philippines, Singapore, Taiwan, Thailand, and Vietnam. He is based in the Singapore office, and has been with the Robert Walters Group in various geographies for 20 years. American background screening provider HireRight has appointed Hui Yen Ko as General Manager of Asia Pacific, effective immediately. With a strong background in new market development and sales management, Ko will be responsible for plotting HireRight’s strategic growth across the region, with a particular focus on China. 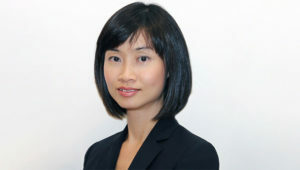 Prior to joining HireRight, Ko served in multiple senior leadership roles including at ESI International, where she successfully established new offices and sales teams in China, and professional training & coaching firm momenta Group, which under her supervision went on to grow revenues by 15% in less than 2 years. Most recently, Hui Yen founded a consulting and training firm that boasted clients including global MNCs and government agencies. General insurer MSIG has appointed Craig Ellis as the new Chief Executive Officer (CEO), effective 1 April 2019. He assumes the role from former CEO, Michael Gourlay, who will be leaving to pursue his personal interests. Ellis has over 40 years of experience in the financial services industry, mainly in insurance covering general, life and health, and also in banking. He brings substantial and broad international experience having worked in Australia, Europe and Asia. 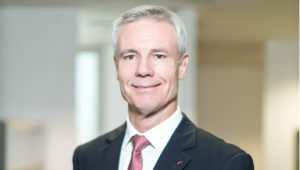 Ellis held senior positions in Allianz, Old Mutual and Charles Monat Associates where he was CEO of the Singapore office, and most recently Global Head of Product and Solutions before joining MSIG. He started his career with KPMG and is a Chartered Accountant. “We are pleased to have Craig lead MSIG Singapore as CEO. He is an accomplished leader with extensive management and industry experience, and will be a great asset to MSIG Singapore as we continue to drive stronger growth and profitability in the region,” Alan J Wilson, Regional CEO, MSIG Asia, said on this appointment. The Singapore Institute of Management (SIM) has appointed Seah Chin Siong as its new President and Chief Executive Officer (CEO). Currently CEO of Singapore Pools, Seah will join SIM effective 1 May to helm the SIM Group. Before working at Singapore Pools, Seah was the founding chief executive of IDA International, a subsidiary of the Infocomm Development Authority of Singapore. He led the company in helping public agencies around the world harness infocomm-enabled capabilities to improve their socio-economic situations. Seah was also formerly Managing Director of Accenture’s Public Service Operating Group for Asia-Pacific and Country Managing Director of Accenture Singapore. 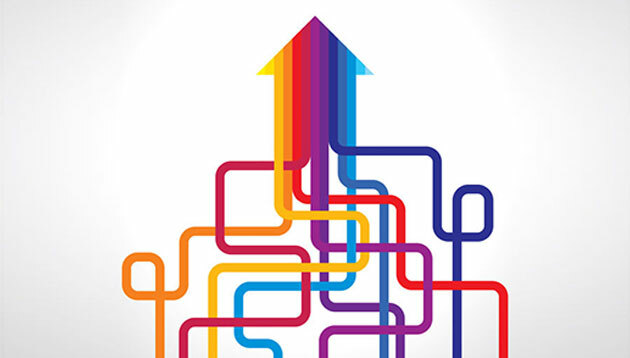 His 25-year experience spans across technology, business development, strategy formulation and change management. Effective February 2019. Sujay Karra has moved to the Singapore office of HR consulting firm Mercer as Client Director Executive Remuneration (Singapore) / Frontier Markets, and will be responsible for growing the business and enhancing the solutions and capabilities. Prior to this appointment, Karra was with McLagan in Dubai (UAE) for the last seven years, where he joined as an Analyst and grew through the ranks to his last role within key account management and as Business Development Leader for the Sultanate of Oman. He was also Sales Incentives Practice Leader for the Retail Banking vertical in the Middle East and Africa region.